As we approach the Easter weekend, we at Pharmafocus hope all of our readers have a great long weekend, if you're lucky enough to benefit from one. 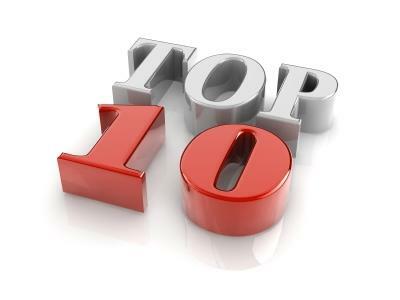 That also means that this week's Top Ten comes a little earlier than usual. As always there was a wide range of big stories this week, including the news that GSK had written itself out of the picture in the race to acquire Pfizer's Consumer Health Unit, and the discovery of a new organ in the human body which coulld change the way we view cancer treatment. But the most popular story of the week was the news that Roche's blockbuster haemophilia treatment Hemlibra has been linked to the deaths of five patients since the end of last year. Roche has revealed further data from a Phase 3 trial, which showed that a combination of Tecentriq and Avastin, in addition to carboplatin and paclitaxel, was able to improve overall survival in the treatment of advanced non-squamous non-small cell lung cancer. The beginning of Sun Pharma’s diversification out of generic drugs is here and it’s a drug that MSD was happy to pass over to the Indian pharma company. Ablynx has revealed that its interleukin 6 pathway via its IL-6 receptor (IL-6R) vobarilizumab failed to meet its primary endpoint in a Phase 2 trial which also saw the deaths of two patients. A team of researchers at Chicago’s University of Illinois (UIC) have revealed that their promising drug which could prove an effective treatment for breast cancer patients who have proved unresponsive to hormone therapy has entered human trials. A new study by Cancer Research UK has found that more than 135,500 cases of cancer every year in the UK are due to lifestyle habits, meaning that 37.7% of cancers could potentially be prevented by making simple changes. There are good reasons to think exiting the EU represents a major opportunity for this dynamic and world-leading industry, argues Tom Cowap of Catalyst Corporate Finance. The European Commission has awarded approval to Takeda and TiGenix’s allogeneic expanded adipose-derived stem cell therapy Alofisel for the treatment of complex perianal fistulae in adult patients with nonactive/mildly active luminal Crohn’s disease, when fistulae have shown an inadequate response to at least one conventional or biologic therapy, it has emerged. The discovery of an entirely new organ, the 80th to be discovered in the human body, could have serious implications for our collective understanding of cancer and a number of other diseases. GSK has announced that it has decided to pull out of the race to acquire Pfizer’s Consumer Health business, ending months of speculation. Roche has been rocked by the revelation that there have been five patient deaths linked to the use of its bispecific factor IXa- and factor X-directed antibody Hemlibra, sending its shares slipping.